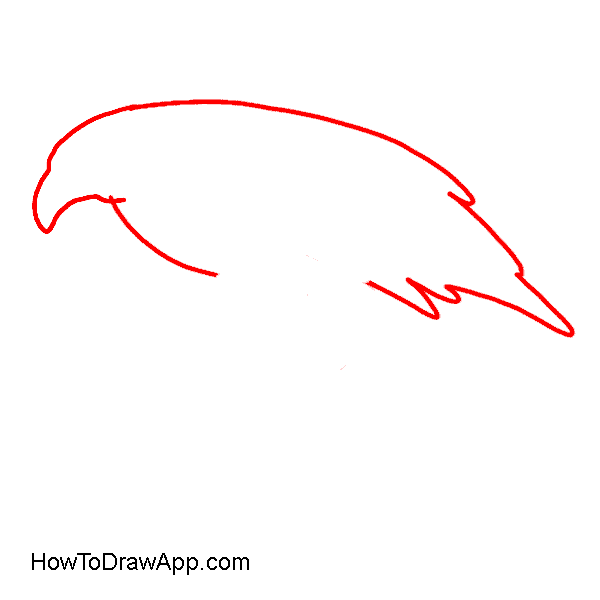 Draw an eagle’s body. 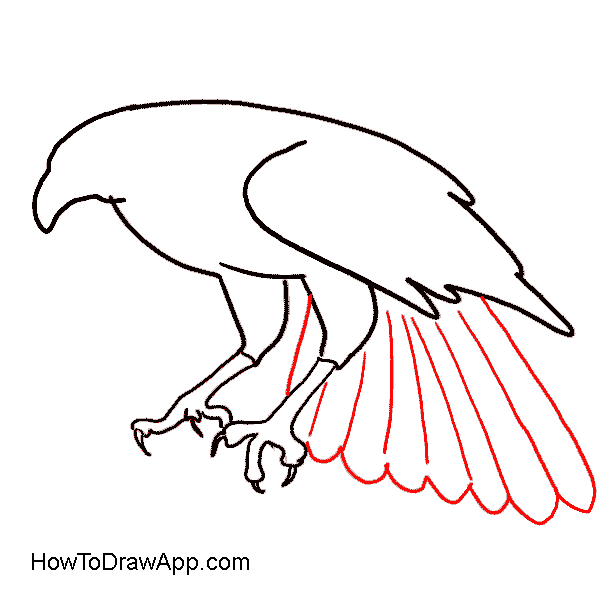 Outline the tail of the bird with several feathers. 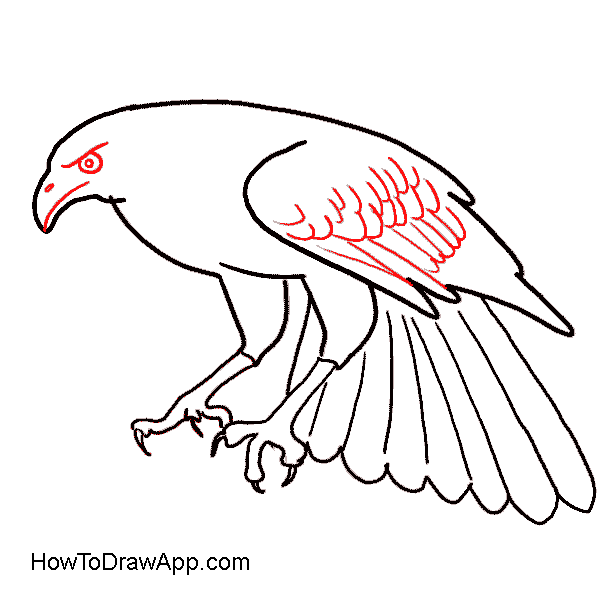 Draw the eagle’s beak and line of the chest. Outline eagle’s legs. Use two lines that seem to converge at a point. Draw the line of the wing. 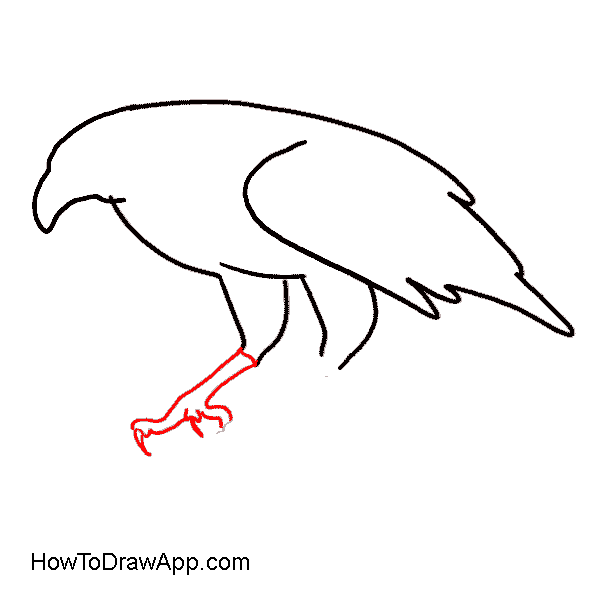 Draw eagle’s claws on one leg. 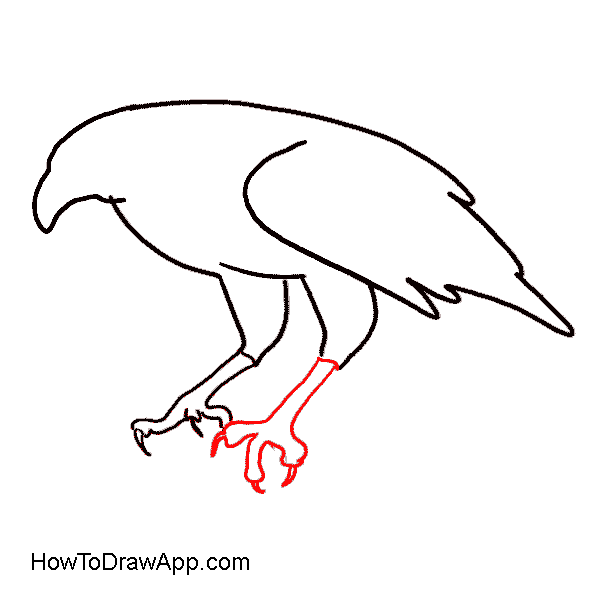 Draw eagle’s claws on the other leg. Draw a big tail. Go up and down to indicate feathers. Then separate them by vertical slanted lines. Draw an eagle’s round eye with a pupil. Add details to the bird’s beak. Add semi-oval lines for feathers on the wing. 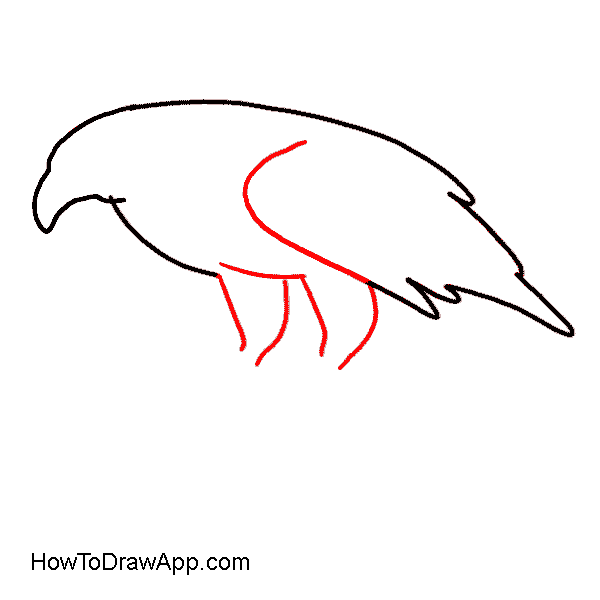 Draw a trunk where the bird is sitting. 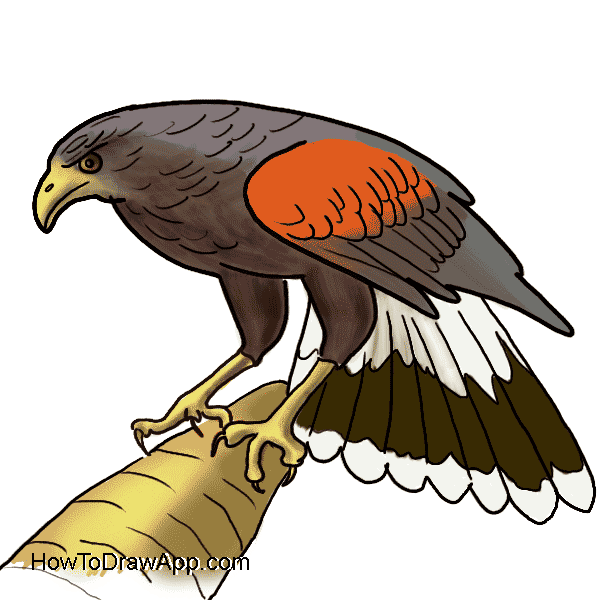 Draw small slanted lines to indicate feathers on the eagle’s body. Add more details to the tail. You’ve finished to draw the eagle. Now you can color it. 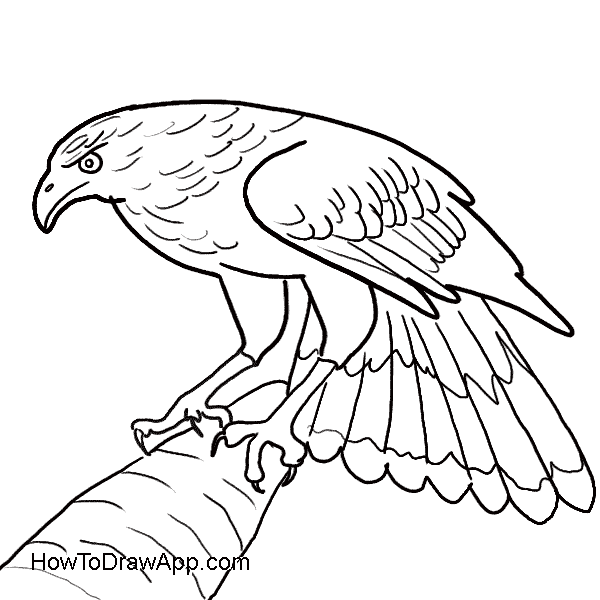 Use contrast colors such as white and black for the eagle’s body. Add some red for the wing. Make the beak of the bird yellow.